It helps you pinpoint exactly where to make the angle. It works as a stencil to give you a perfect + steady bottom edge. Kinda genius for a makeup nerd like me! 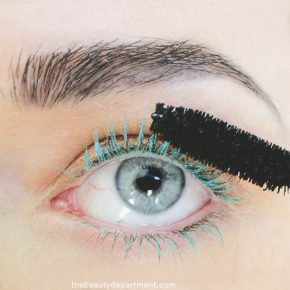 STEP ONE: After already lining the lashline with your liquid liner, first place the tape on the back of your hand a few times to make it less sticky. 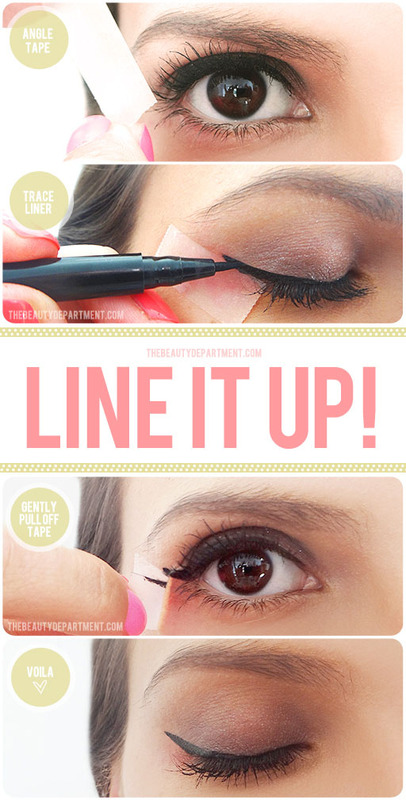 Then angle the tape by lining it up from the outside corner of your eye towards the end of your brow. 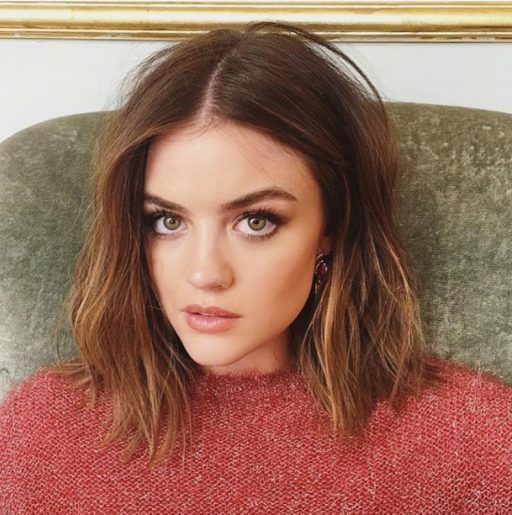 To be precise, imagine the brow extended by a centimeter and have that point become where you end the tape. STEP TWO: With the tape in place, incrementally draw the wing either from the bottom up or from the top down. I like to work both ways. STEP THREE: Gently peel off the tape, giving you a smooth bottom edge. 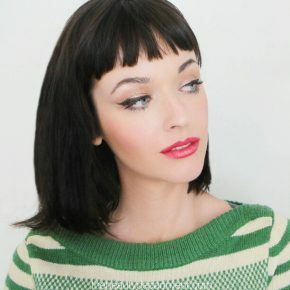 You can also do this for a perfect winged shadow! 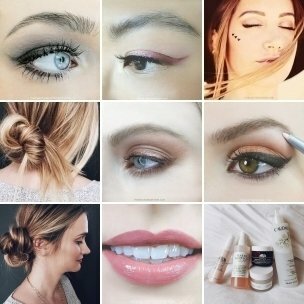 Just repeat the steps above by placing the tape at the same angle, then applying the eye shadow and smoking it out to a wing, then peel off the tape.